Custom engraved hides. We have several different options for engraving as well as several different display options. 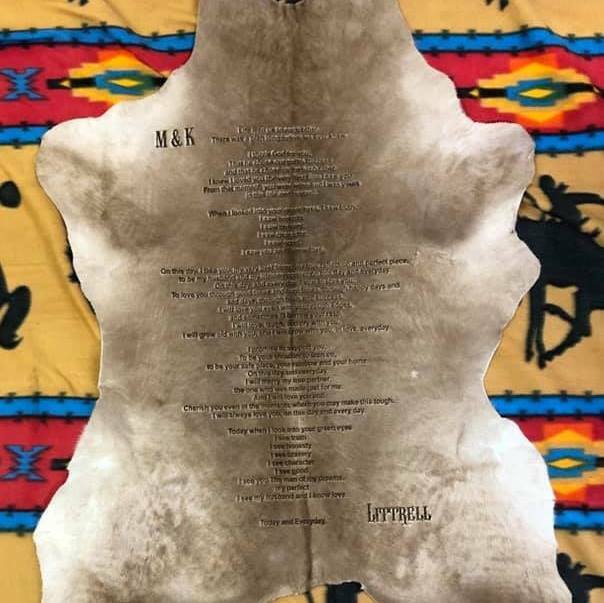 We’re also able to engrave full calf hides as seen below. Contact us to start your next project! 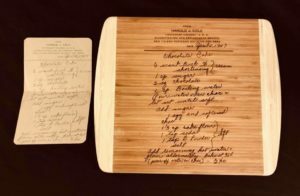 Custom engraved cutting boards with an original hand-written recipe! Contact us today to discuss what works best for you. We have several different types of cutting boards as well as signs that can be engraved with anything that is hand-written. This is one of our popular gift ideas! We have show shelves! 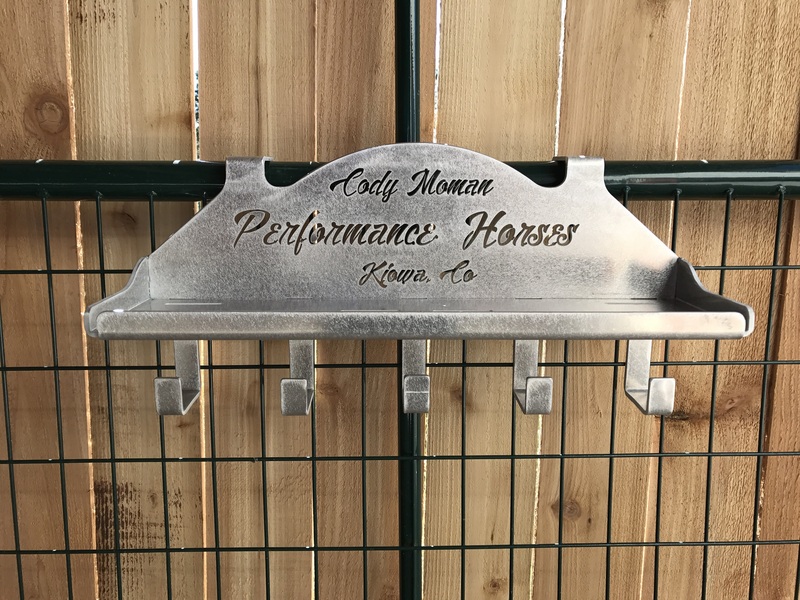 Custom made show shelves to keep your halters or ropes organized and hold your extra drinks and more. Contact us today to discuss this new product and how we can help you design it!